Roofs are often said to be like tires. We only think of them when a problem arises, and we only replace them when we absolutely have to. But, when we do think of tires and maintain them regularly, we can extend their useful lives with simple maintenance. Similarly, we need to ensure that the roof receives the proper care to increase its useful life. Extending roof life starts with regular roof inspections. It is recommended that your roof receives an inspection twice a year: once after the hottest weather, and once after the coldest weather. 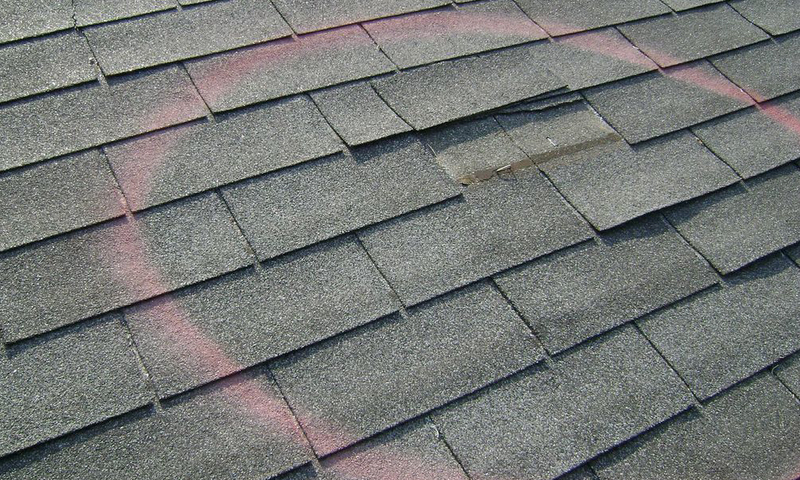 It is also recommended that your roof is inspected after major storms as well. By inspecting roofs, what do we hope to discover? Why are routine inspection crucial to the longevity of your roof’s life? What follows are 3 of the most common reasons to inspect roofs at least twice per year. The benchmark life for multi-ply roofs is 20 to 30 years and approximately 15 to 25 years for most single-ply roofs. All roofs undergo normal weathering and aging, and the effects of those factors are usually visible. As roofs weather and age normally, openings may occur, leading to leakage. Regular inspections call attention to weathered areas and enable an owner to schedule maintenance to prevent further damages. High winds, hail, and other weather events can create damage to roofs that may trigger repairs or insurance claims. Roofs should be inspected immediately following weather events to prevent further damage due to water infiltration. Damage from winds or hail can be slight and require little more than minor maintenance, or the problems can be major and require roof replacement. Hiring a professional storm damage inspector such as a Claddagh Construction Services rep will ensure your damage is identified and documented properly for your insurance company. Leaks after heavy rain are the primary trigger for most inspections. But a leak is only symptomatic of a problem that may have been building for some time. In some cases, if you’re looking for a silver lining, a leak is actually good news. That’s because without evidence of a roof leak, a festering problem of undetected moisture infiltration may continue to create unseen deterioration, such as rotting wood, mold, wet insulation, or corrosion. As soon as you notice any leaking, you should call a professional right away to have your roof assessed. Claddagh Construction Services knows high quality roof replacement. We have been installing roofing across the Northeast for over 30 years. We have grown to become one of the largest roofing contractors in Maryland as well as one of Home Advisor’s preferred contractors. Our professional commercial installers are capable of installing Low & Steep slope roofing, Metal, Vegetative, Copper, Single-Ply, Built-Up, and much more. We understand the complexities of providing the absolute best in industry commercial roofing installations, while ensuring minimal or no impact on your daily operations. You’ll be pleased with our professional team of roofing specialists who will guide and educate you through the process from choosing your options all the way through to completion. Claddagh Construction Services is your roofer of choice for any roof replacement services.